I had been brought up with a strong work ethic and my two brothers were equally ambitious. I was the practical one, easy going and adaptable. I was very motivated to go out to work and earn money. I started with only ten shillings a week, but it felt like a lot to me. I gave two thirds to mum and put the rest in post office savings. 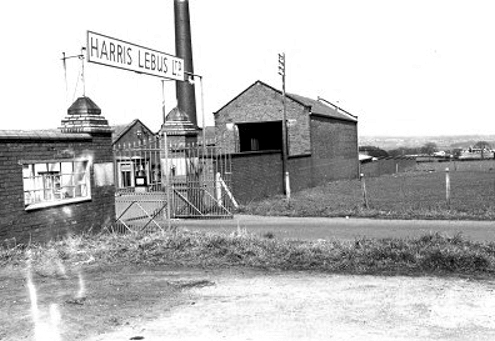 Harris Lebus was the largest employer in our area, having continuously grown since its formation in the 1840’s by Jewish immigrant cabinet maker, Louis Lebus. After the Second World War started I was evacuated from my home Tottenham with my younger brother Don to rural Farcet near Peterborough. Three days each week, I cycled into Farcet Fen to help on a farm. I spent days there on my own, totally surrounded by open countryside and in all weathers, collecting chicken eggs, cutting down reeds in dykes, muck spreading, potato picking behind the ploughman and sugar beet chopping. All backbreaking work, but my first ever paid work, which I found very satisfying. By 1941 I was fifteen, my parents were missing us and there seemed to be no let-up in the nightly bombings of London, so it was arranged for us both to return home and chance our luck. I decided there was not much future in staying in Farcet anyway with the war going on, as I did not want any more schooling. It was time to do some real work. So I took Don back home with me and started at the local furniture firm Harris Lebus, where Les was already busy working. Of course, it had turned over to war production only, as was everything else that could be. Even the iron railings outside our house had been taken and melted down for armaments. For twenty four hours every day the factory was busy making mosquito fighter bombers, troop carrying gliders, two man cockle canoes, Jettison petrol tanks and landing assault craft. Each day was a hectic, dangerous day. In 1942 the Germans started using an additional danger to Londoner’s lives – the Doodlebug. You could see and hear these Doodlebugs coming over with their flame tail. It was really frightening as you knew directly the flame stopped, it would drop straight down and hit whatever was below with devastating consequences. The V2 rockets were more direct, you didn’t hear those, they just came and BOOM! Devastation everywhere, for miles and miles along docks on the Thames, when the daily night raids were at their worst. When I was eighteen, I was called up and sent to India with the 2nd airborne division. I returned home after the end of the war, aged twenty one, and Harris Lebus was back into furniture production. It was by now a massive outfit, the biggest furniture manufacturer in the world. We made all types of furniture, I can remember in particular a drop leaf dining table – design no 3022 – we must have sold around 300,000 of these. You simply cannot picture the scale of it in the warehouse. We carried over 40,000 pieces of furniture at any time. It was all serviced by radial conveyors. 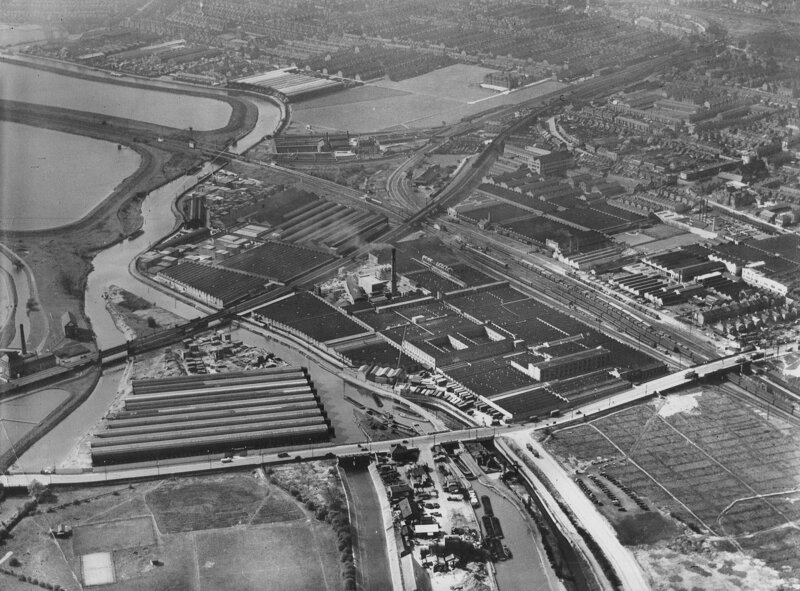 You had the factory over one side of the main road and going under the big bridge on the main road there was a lane going under it into the warehouse. Here, there were about four other radial conveyors and so each item went onto its appropriate conveyor, going full circle into the loading bays where lorries were backed up. Occasionally, a piece of furniture fell off this outlet conveyor with dramatic consequences. Unless someone was around to see it and switch it off, furniture would start to back up and pile up! We used to send thirty to forty full lorries out a day all over Britain. Some of them had an ‘A’ licence, which meant that on their return they could bring back other kinds of goods. We supplied a growing number of mail order Companies, including Littlewoods. Our biggest problem with this was finding people at home to accept their delivery, if not it had to come back. People from all types of backgrounds worked there, some with highly skilled and specialised roles. There was a young fella no more than five foot six or so. He could stack one double wardrobe on top of another so easily. I went straight into junior supervision. The first man I worked for was Jack Thomas in the management team. He took me under his wing and could see my potential. Whatever job I did, whether I liked it or not, I did my best. I was never a clock watcher; if there was a job to finish I was always willing to do it. I often worked from eight in the morning until six, with an hour for lunch. In fact, it was normally a forty eight hour working week for everyone, which over the years have been whittled down to what it is today. I used to do overtime as well, particularly during the war effort. I got promotions within the group and then it was decided to go computerised. For this, they brought in a man called George Robey from J Lyons Cornerhouse (Lyons of tea world). This was a highly reputable business in Regent Street and Oxford Street. 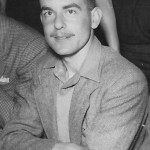 George had been the prime mover in setting up their own computer systems there which they called LEO (Lyons Electronic Organisation). He was persuaded to come to our Company and set up a new audit and systems unit. This comprised of two auditors and one young man from shop floor (me) and a chap named Bob Grant from the offices. We systematically went through everything, looking at existing control and paperwork systems and all the details that went with them. Then our first task was to streamline these systems to make it easier for the computer. During this process, we introduced some revolutionary things. Firstly, Lamson Paragon tubes or wires. Tubes went through air ducts, wires across the shop floor. This meant that rather than physically carrying information across from one area to another, the information needed would shoot across the wires or through tubing, keeping track of each item going from A to B to C. A progress card stayed with each job and a control card would be registered with each movement in a central office. Every operation had its own number and a code for what had to be done against that number. For example, drilling holes had a certain number that would be marked off to show the stage it had reached. Unsurprisingly, Mr Isherwood of Lamson Paragon, had been pleased to meet me, knowing we were a large Company and would be giving him a huge volume of work. There was one shop floor that was so massive he admitted they had never set up anything across such a large area before. I thought about it for a moment and said, ‘What goes up must come down. Surely if the wire has a gentle gradient going up to half way, then it would come down with momentum for the second half?’ We tried it and it worked. When I later became Assistant Customer Service Manager, my new boss was Ted Mead. He was what you would call a ‘Jack the Lad’, a womaniser and character. I liked him. He would take me with him to design meetings to observe. The Chief Designer, on the other hand, wasn’t an easy man to get on with and didn’t like anybody coming up with an idea or solution he had not thought of himself. In one meeting they began to talk about a dressing table that had a big mirror and wooden frame at back of it – a lovely piece – and the question came up of how it could be transported without damaging the mirror. I just nudged my manager and whispered, ‘surely they can put a couple of hinges (butts) on the back there, flap that over down the back of the chest itself and hook it in place?’ He saw it was a great idea and pushed me forward. ‘Go on, speak up!’ he said. The Chief designer looked at me daggers because I was just an assistant and he knew it was a great idea. Ted told me to put my idea into the suggestion box, which I did and got paid for. I did many, many things at Lebus in Tottenham. At one stage, I was meeting customers and retailers in London to wine and dine them, sometimes taking them to the Palladium. I would meet rep’s from all around the country, flying out to meet them at times and giving talks on how we were doing, showing them around the works. Eventually we were ready to bring the computers in. George Robey went across to France to see what the French Securite and Interpol had used. He bought this enormous machine back to the office called Logabax. The next job was to try to feed all our information into it, but other people did that, not me. Stock control and payroll had been the principal reasons for introducing it initially. I was instead put in charge of warehouse and dispatch. On dispatch, I was in charge of loads going all over the country using the computer we now had. But the computer couldn’t account for any low bridges on routes for the transport. It was complicated and it had terrible teething troubles. Ironically, I was probably the only transport manager in the country who couldn’t actually drive! Although Lebus were real innovators and had the money, they sadly failed to keep up with the times. New companies such as G Plan were appearing offering flat packed cheaper furniture and more modern design. Business continued to slow down and so management brought in some ‘whiz kids’. Successful people, but new to the furniture industry and, I think, only in it for their own ends. I can remember one man in particular, his interest was definitely not in our Company – to him it was just another highly paid position with power. This man was a big wig with Saxa Salt, he had no clue how furniture was made. They listened to him due to his success with his previous Company, when what they really needed was someone who knew the furniture trade and the people we dealt with. Our sales manager Mac (Mr Macclean) was an excellent sales person and yet suddenly they decided to get a new slant on selling and brought in a little ‘whipper snapper’ to replace him. The management was now being controlled by the banks. Oliver Lebus was perhaps too nice a man and a bit over controlled by them. I suppose it was difficult for him with shareholders involved. The direction they took was completely wrong. By 1955, I moved to Melbourne Way. 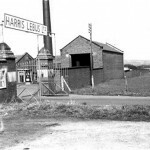 Then I moved to The Chimes in Benfleet in 1968 and, by that time, Harris Lebus was in real trouble, so much so, that the banks brought in Price Waterhouse. This became another traumatic time for me, as I was in charge of a lot of people and, overnight, I may have had to make a unit of around twenty employees redundant and reduce the staff down to two. My job was to put the names down. When I started working for Lebus, there must have been eighteen hundred to two thousand staff. Now there were only twenty to thirty of us left. 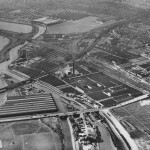 The massive Tottenham site was sold to the Greater London Council (GLC), but the upholstery factory in Woodley was retained as it still seemed to be doing well enough. They also kept a little bedding unit in London that made divans and all the rest of it. I was asked to take over customer service at Woodley. Leaving early Monday mornings, I commuted to Woodley and stayed over in hotels until returning home at the weekend – not very pleasant for Margaret. I stayed in some lovely hotels on the River Thames, Sonning and Henley, most often burning the midnight oil writing reports. To solve this problem, we bought a house in Woodley, 126 Loddenbridge Road. It was now 1970. I had worked for Lebus for over thirty years and left of my own accord at the finish. I kept in touch with Oliver Lebus for many years. I kept the letter he wrote to me after I left, asking him for a reference. 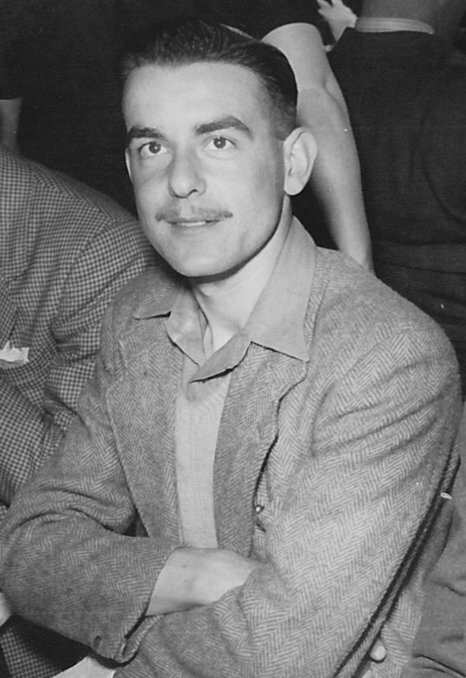 This article is an extract of Stan’s full memoirs, which have been compiled with the assistance of Victoria George’s memoir writing service.